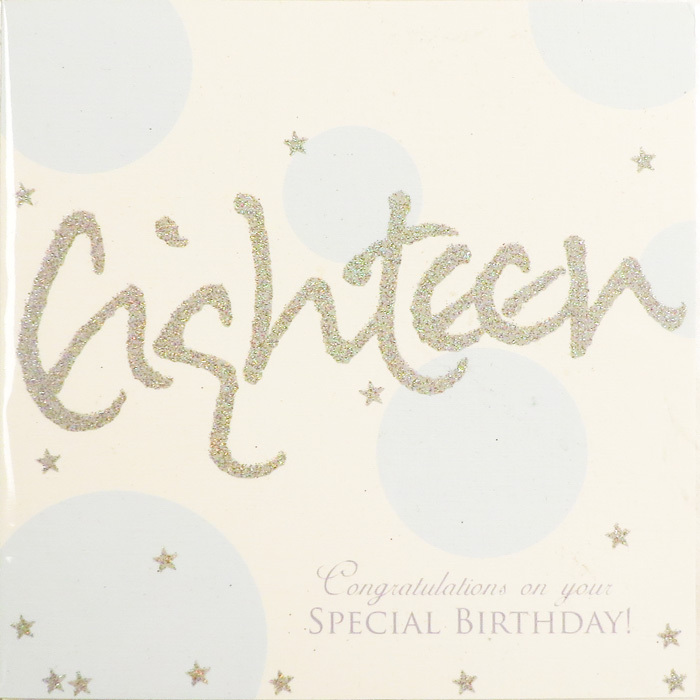 Eighteen is a bright, contemporary card perfect for a celebration. 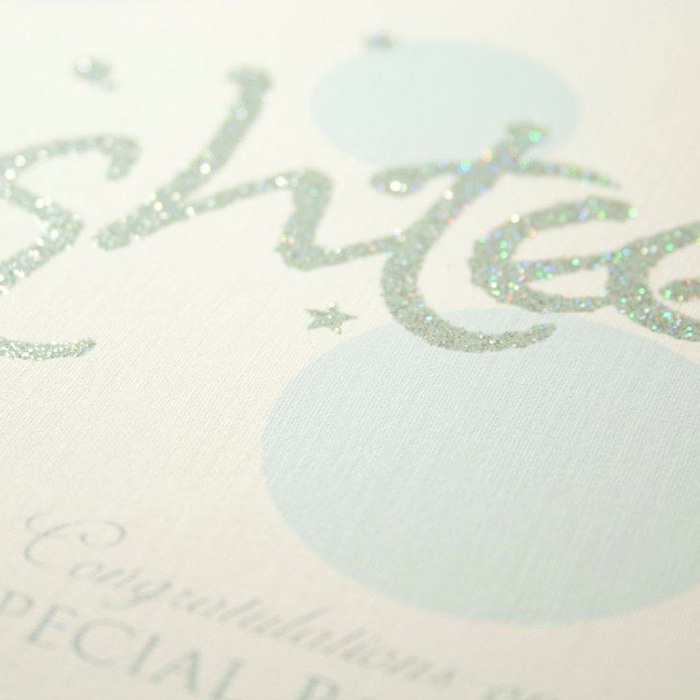 The silver and irredescent glitter really catch the light and there are a sprinkling of stars to add to the sense of occasion. The words “congratulations on your special day” are in a subtle grey on the front of the card.